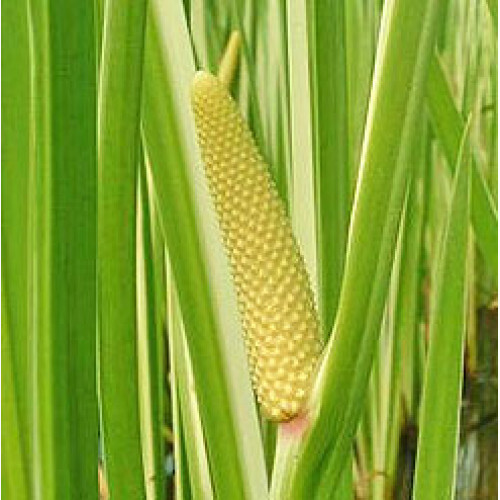 Description: A perennial plant, Calamus Root grows to a height of 1m with a spread of 0.5m. The rhizome is horizontal, creeping, cylindrical, branched and up to 2m long, with a spicy aroma; the fruit are greenish berries. Indigenous to the northern hemisphere, it prefers lake margins, swampy ditches, or marshes in a protected position. It is frost resistant, but drought tender. Calamus Root Oil is a stimulating nervine, antispasmodic, and a general tonic to the mind. As a stimulant for the brain and nervous system, it is used to promote cerebral circulation, to stimulate self-expression, and to help manage a wide range of symptoms in the head, including neuralgia, epilepsy, memory loss and shock. This oil also quite helpful as a herbal medicine for several kinds of treatment such as vertigo, nervous pain, headaches and dysentery. Essential liquid contains asorone that is an oral ingestion and carcinogenic and that causes convulsions, liver & kidney damage.